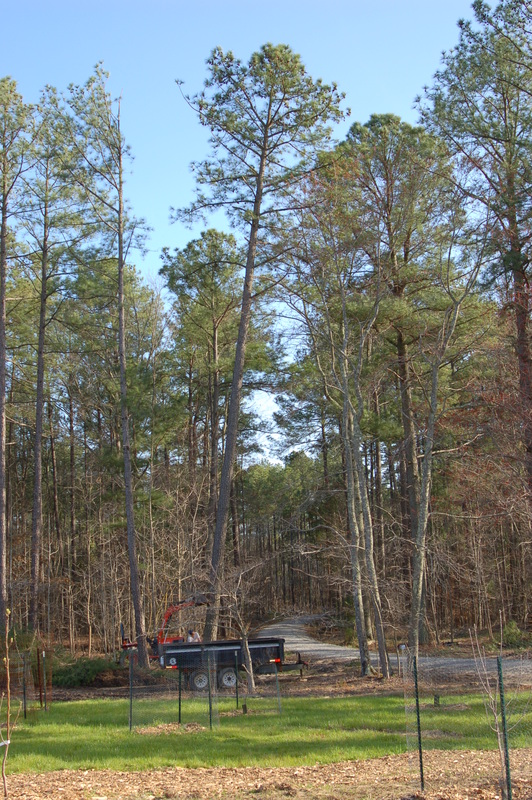 I should actually shout: “LUM-BER!” Because that is where these trees are headed. So, yeah. 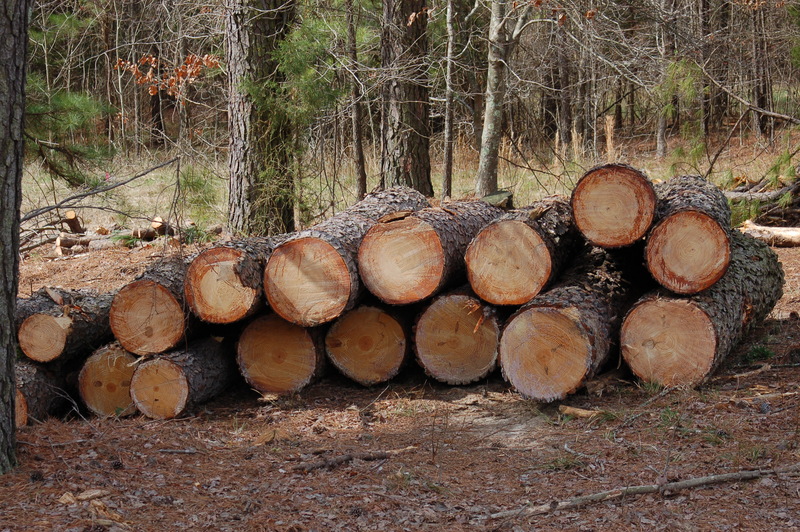 It was time for some more trees to fall. And when it’s time to take trees down, our roles follow the rules of gender and patriarchy: my father cuts the tree down. 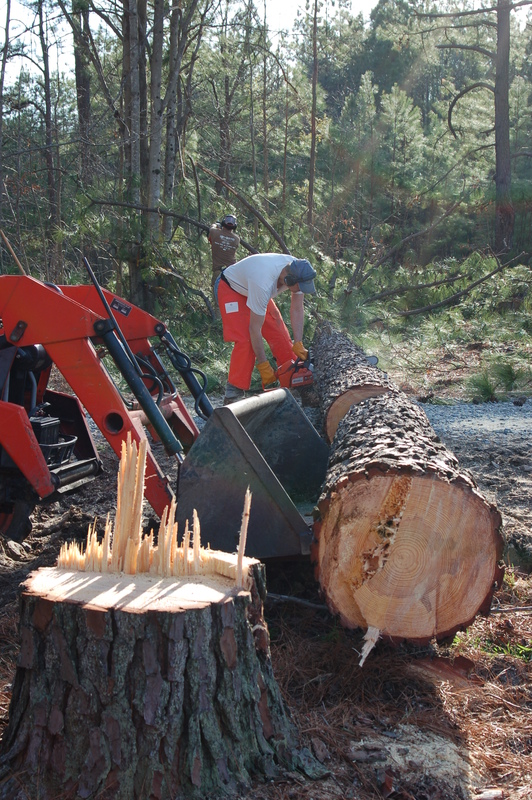 Dan stands nearby, and then runs a second chain saw in the clean up process. I take care of children, animals, and photography. And I’m just fine with it this way. My heart beats hard and fast enough standing at a safe distance, reassuring myself over and over that there really is no way the children could come running past me and into the drop zone in the 30 seconds it takes to cut the tree down. I just don’t enjoy the process. 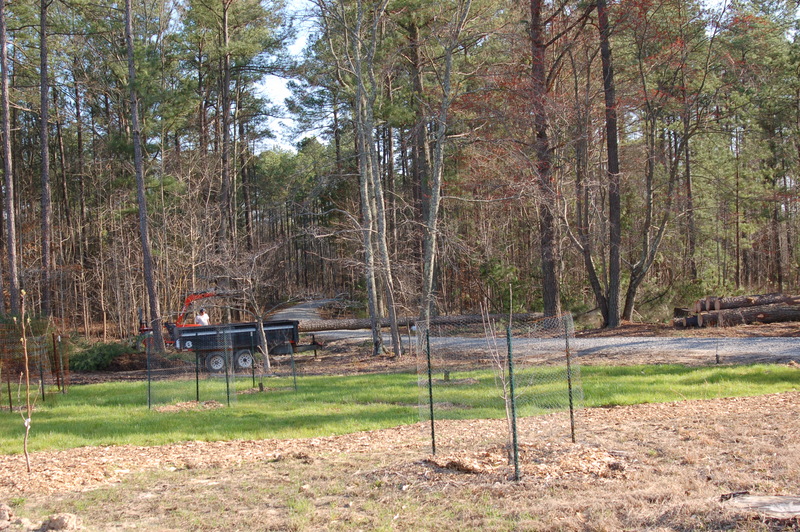 But here’s the deal: these trees are shading some growing area that we need to receive more light. And we need siding for a little house project that we are (slowly) working on. 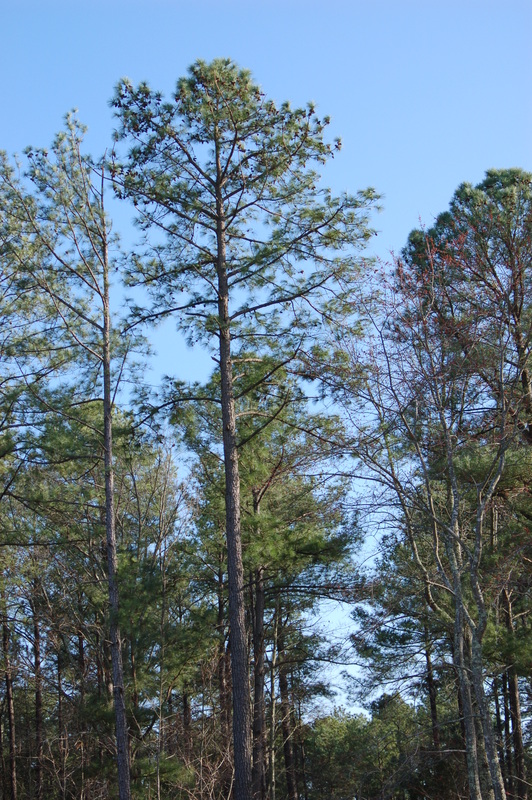 So these gorgeous Yellow Pines will be re-purposed as siding for our home. Not too bad of a second life to lead. It looks so small in this view. Like any good hippies, we say a prayer before cutting. We thank the tree for its life as a tree, for its tree-ness, its habitat, its oxygen, its shade. 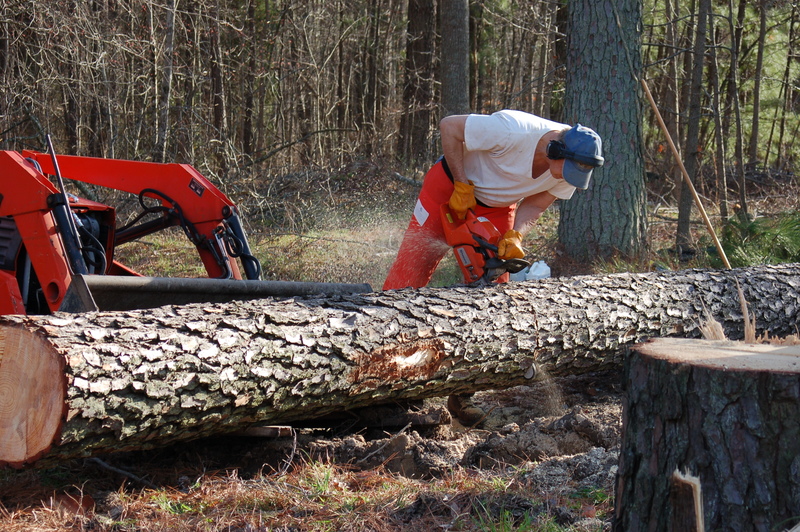 And then we brutally cut it from it roots with a petroleum powered blade. Have I mentioned I don’t like this process? But I like wood. And I’d rather the wood come from the land on which I live. From the forest in which we selectively cut. Oh, how the earth shakes. Ugh. But it’s such a relief for me when it’s down. Though I must say, my father does a phenomenal job of putting the tree where he wants it. We laugh about whether the tractor is really serving any purpose other than making us feel a little better. 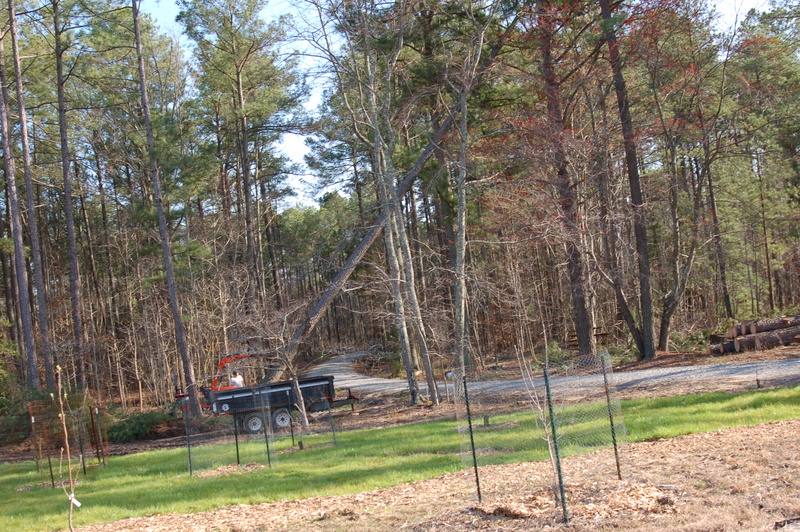 We also have fun wondering what exactly would happen to the tractor if the tree went the wrong way. Pretty sure the tractor would be toast. Anyway, the trees have so far always landed in the right place, my heart beat returns to normal, and we hope the tree spirits won’t start haunting us. 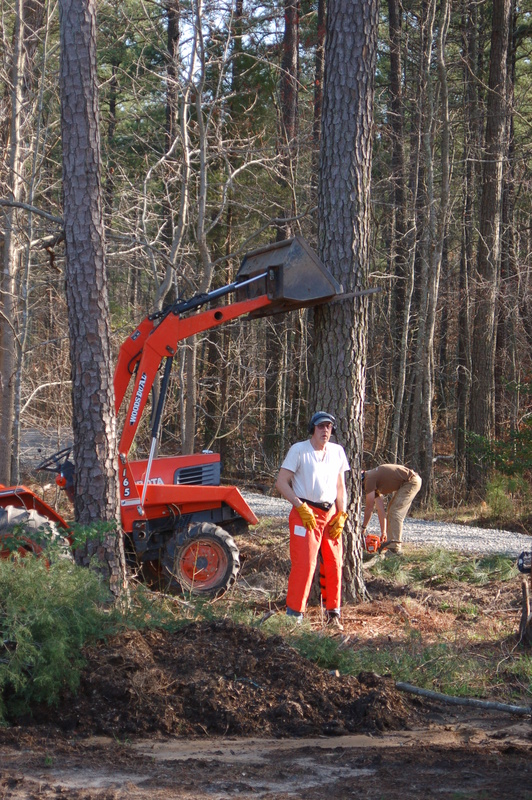 We cleared a couple hundred trees in 2009 – though we outsourced this task. 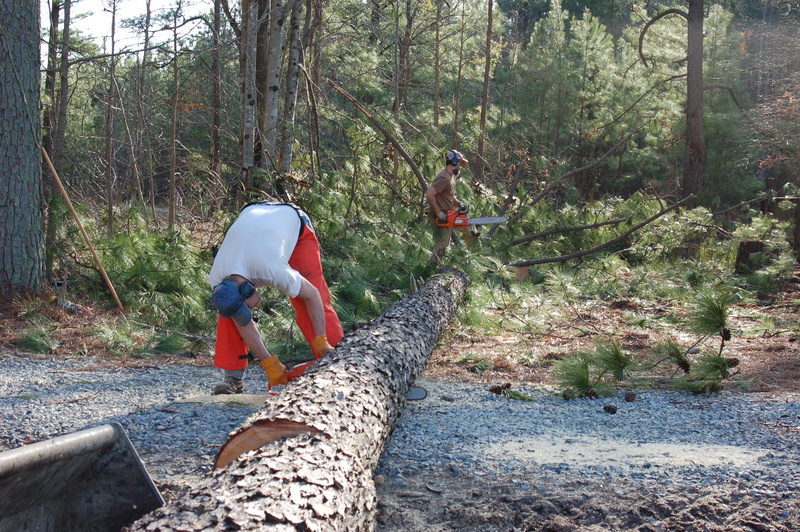 That was a hard period for us: day after day, trees hit the ground. The earth shook. And this was occurring during my last weeks of pregnancy and first weeks of newborn-hood with Joren. So just imagine: a physically uncomfortable and very hormonal woman surrounded by falling trees. WHAM! WHAM! WHAM! I am glad to have that behind us. This is our little shed that Dan built with siding from a tree that we had taken down in 2009. 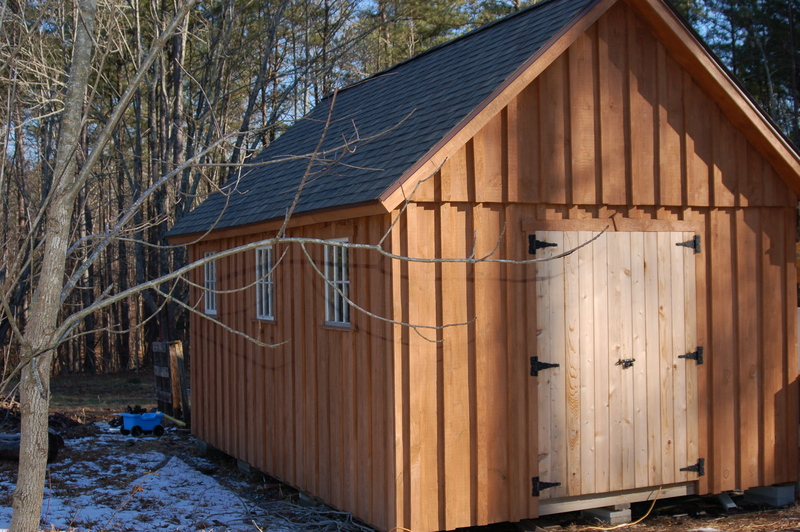 Board and batten might not have been our first choice for siding for our shed and house, but it’s what we can do with Yellow Pine, which is what we have available. So we will. We apply that same philosophy to our farming practices as often as we can. We’d much rather use something from this land than bring it in from elsewhere. Why do we need siding for our house? That’s a great question. No, we aren’t building a new house. Again, we are committed to re-using existing things as much as possible. And this little bit of land, with a little house on it, chose us much more than we chose it. But our house is quite modest. A humble little 1960’s brick rancher. You won’t see many photos of it because it’s not much of a looker. Our problem with it is that it’s not very efficient, either. In the 60’s when fuel was cheap the priority was on building a cheap house, not a house that would be easily warmed or cooled. And so our home has no insulation. None. A thin layer of masonry with some drywall on the inside. Yikes. It’s chilly in the winter. So we have come up with this crazy idea to put a layer of insulation on the outside (rigid foam) and cover it up with siding from the trees that used to be nearby. We’ve toyed with all sorts of possibilities, striving for the most responsible option. This is the best we’ve been able to come up with. 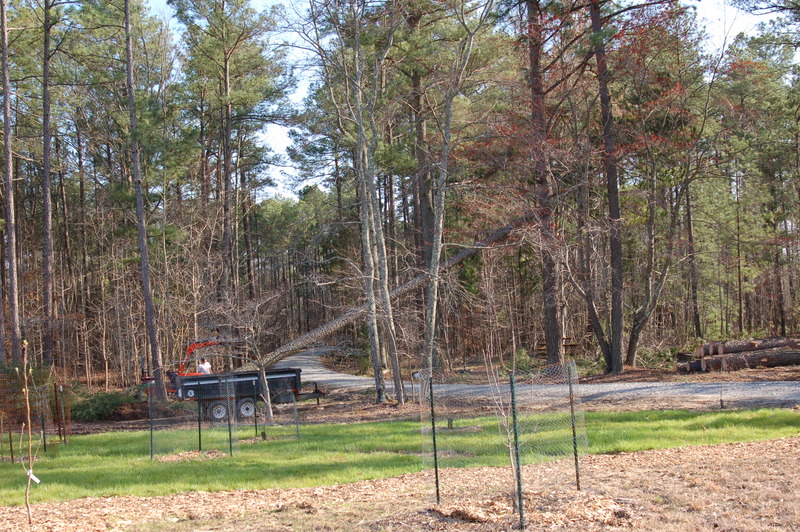 And the process involves taking trees down, which will allow more plants to grow, that will hopefully serve as food for you. Thanks for reading. Nine days until the first market!